MOSCOW, April 27. /TASS/. The White Helmets organization active in Syria, which claims to be a humanitarian NGO, in fact supports terrorists and covers up their crimes, Russian Foreign Ministry Spokeswoman Maria Zakharova said on Thursday. "The White Helmets not only feel at home on territories controlled by Jabhat al-Nusra and the Islamic State (terror groups outlawed in Russia) but also openly express positive attitude towards them, provide information and even financial assistance to them," she said. "There is documentary evidence proving that White Helmets members participated in some operations carried out by Jabhat al-Nusra, as well as covered up the signs of civilian executions." Zakharova pointed out that there were videos showing Syrian troops being tortured and executed in the presence of White Helmets members, while eyewitnesses said that they were also involved in looting, fact manipulation and staged scenes of medical assistance being provided to civilians. At the same time, the Russian foreign ministry spokeswoman added that the western media was ignoring this information. "the White Helmets members’ behavior in Syria’s Khan Shaykhun on April 4 is particularly worth mentioning," she went on to say. 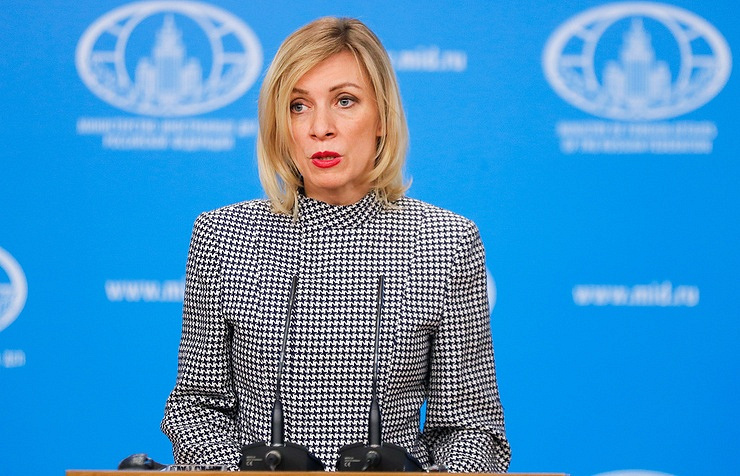 "It was the reportedly irrefutable evidence provided by them that gave the US a pretext to carry out an act of aggression against the Syrian Shayrat airbase on April 7," Zakharova said. 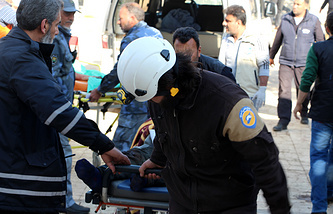 She noted that the Swedish NGO Doctors for Human Rights had accused the White Helmets of falsifying information about their humanitarian work in Syria by producing staged videos. "They analyzed a video and came to the conclusion that the people in the video were dealing with kids who were under the influence of drugs, rather than trying to provide them with medical assistance," Zakharovs stressed.